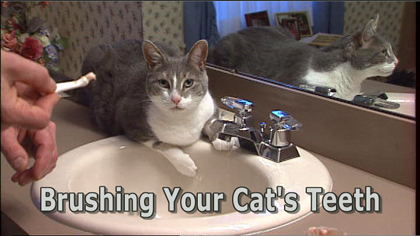 Narrated, step-by-step instructions show you how to brush your cat's teeth. Slowly train your cat to accept brushing by following a simple 4-week training program. Clear, easy to understand explanations featuring live-action video and animated details. Running time approximately 7 minutes.